A question I am often asked by readers is; which books are linked? The Unexpected Bride and Mistress or Marriage? are linked. The hero and heroine of The Unexpected Bride show up as secondary characters in Mistress or Marriage. Readers often ask if Sarah Ffolliot, younger sister to Penelope in Bride, ever got her romance with George. The answer is yes, but I treated it as a secondary romance in Mistress or Marriage? which in hindsight was a crashing mistake! Now I realise that I should have given them their own book, but I was very new to romance writing when I wrote Mistress or Marriage? and it just didn't occur to me. The two "Rake" titles are also linked. This wasn't planned at all, but when Jack Hamilton strolled into my head as Marc's friend in The Dutiful Rake I immediately knew that I would have to write his story. 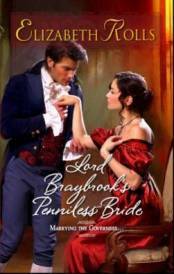 The other linked titles are His Lady Mistress, A Compromised Lady and Lord Braybrook's Penniless Bride. Again, I had no intention of writing a series at the beginning. I started His Lady Mistress without the faintest idea that Max had a twin brother. But people do not live in a vacuum. They have family and friends and when Richard Blakehurst appeared in my head he stayed. Rather like Jack Hamilton, I knew at once that I would have to write his story. Julian, Lord Braybrook appeared relatively late in His Lady Mistress, but he showed up again in A Compromised Lady and refused to go away. By then he had convinced me that his rakish ways were due for reform and quite number of you had asked for his story anyway, so I let him have his wicked way. So there you have it - the links between my books. I don't set out to plan a series; it just happens. Which of my books are linked? Readers have been asking this, so scroll to the bottom of the page for the answer. A Scandalous Liaison is my latest release. This is a 15 000 word short story, currently available for electronic download only.